Rainbow Party Favor. Personalized Rainbow Bracelet. 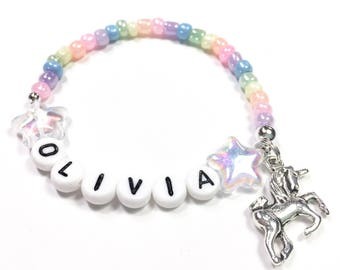 Rainbow Name bracelet. 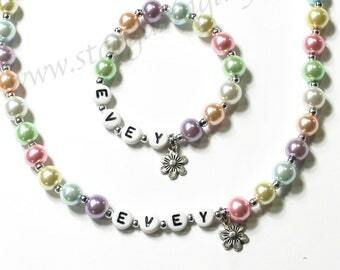 Enameled Rainbow Charm Bracelet with Name. The perfect party favor or gift. 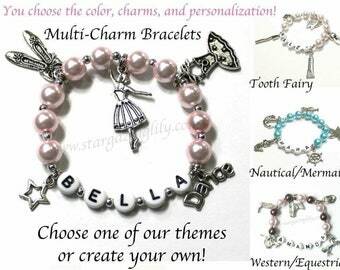 This personalized name bracelet has a colorful enameled rainbow charm. Your can choose glass pearls or seed beads. YOU CHOOSE the personalization. This high quality product is sure to be loved and kept. So unique! Available in Infant through adult ladies size for the same price. Interested in ordering in bulk as party favors? Discounts available. Please contact me for orders over 8 pieces. I will set up a Reserved Listing for you. 1. Quantity - When you add the item to your cart change the quantity desired. As long as you purchase the desired quantity and checkout only once you will automatically receive the combined shipping discount. 2. Personalization - In the "notes to seller" box at checkout please include the personalization desired, age of the recipient for sizing. 3. Bead Color & Style - If you would like a different bead color, please include that as well. Rainbow Party Favor. Personalized Rainbow Bracelet. 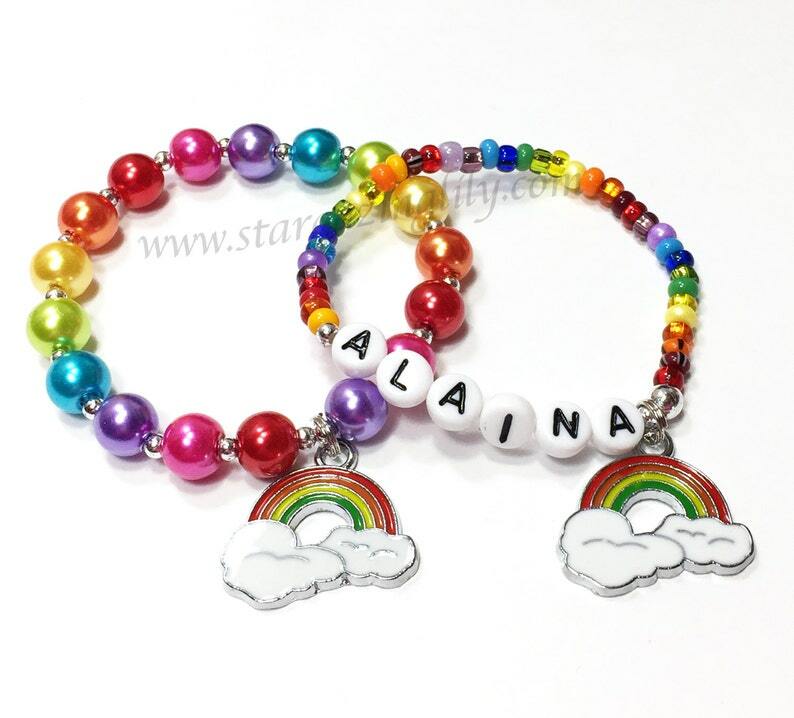 Rainbow Name bracelet. Enameled Rainbow Charm Bracelet with Name.